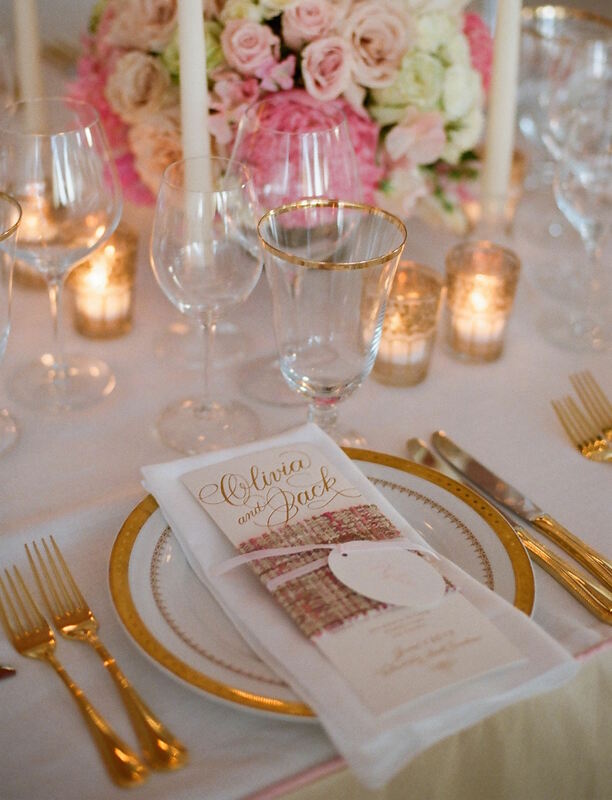 For glamorous table style, add a golden touch to each guest's place setting. 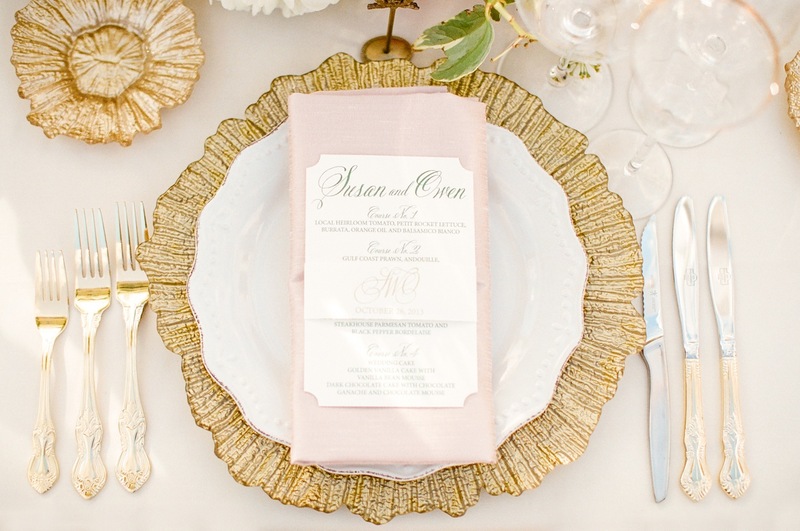 Gold has been a prominent hue in many recent wedding events, and there are no signs of this metallic shade going away anytime soon. 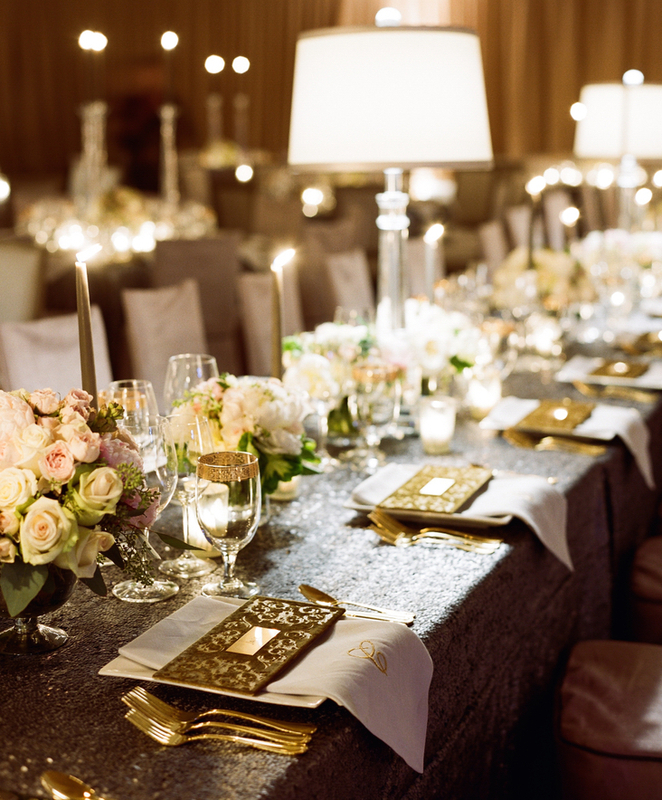 From bridesmaid and flower girl dresses to chairs and linens, there are many ways to include glamorous gilt details in your wedding décor. 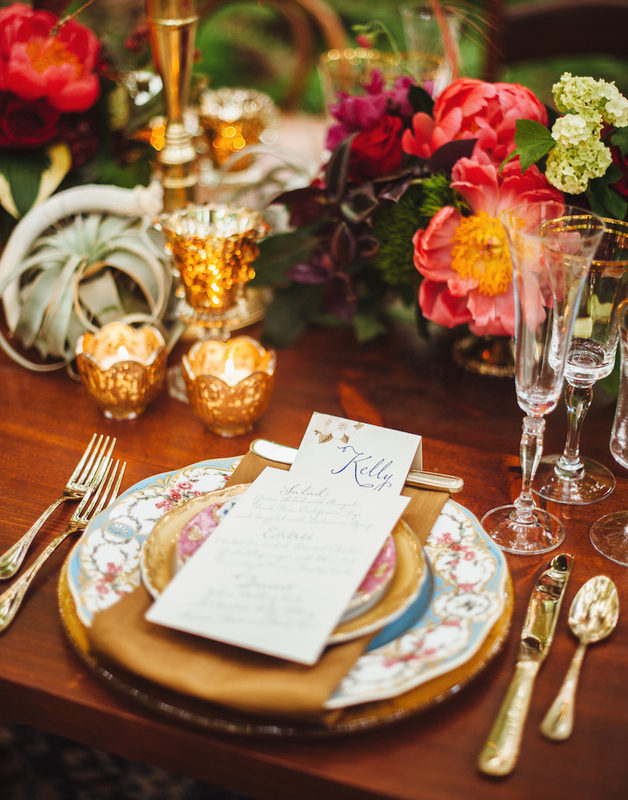 To take your love of gold one step further, consider displaying gold flatware at each guest's place setting. 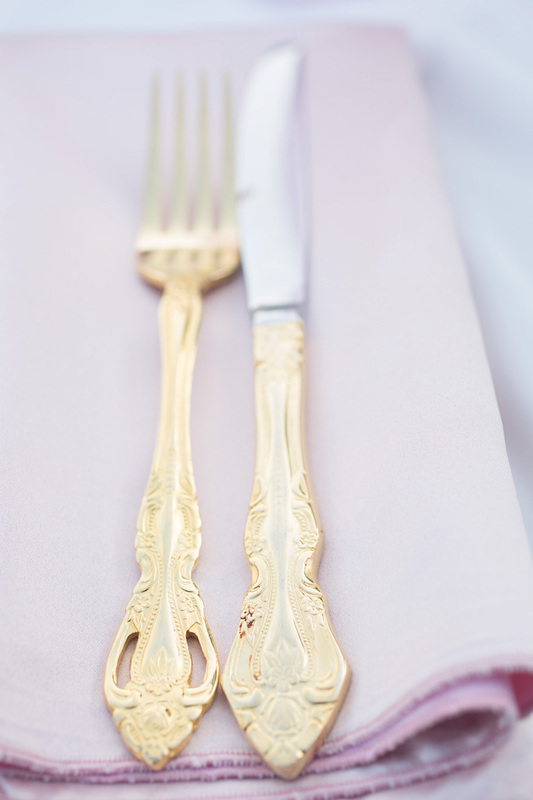 Since we most often see flatware in silver, adding a golden touch to every guest's fork, knife, and spoon dramatically changes the look of the reception table. 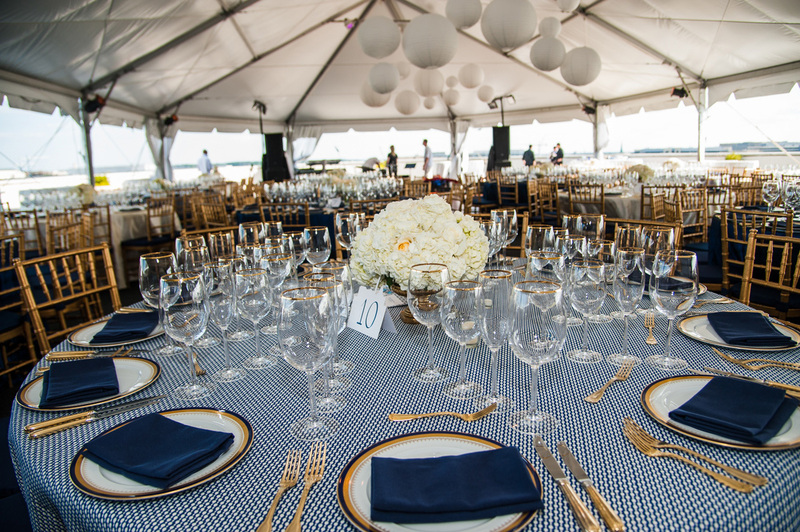 Golden flatware pops against white tablecloths, bare wooden tables, and even metallic sequin linens. 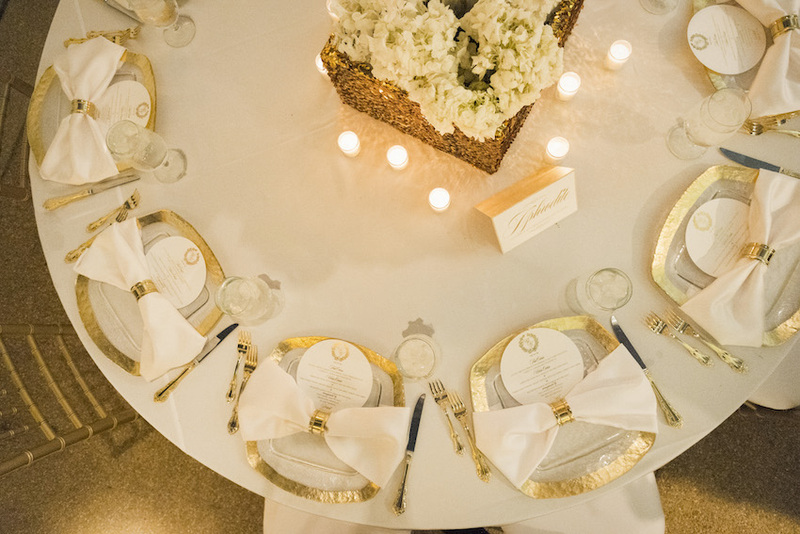 If gold is one of your main wedding colors – or serves as an accent shade, you'll love how the addition of bullion flatware makes a giant impact on your tablescape. 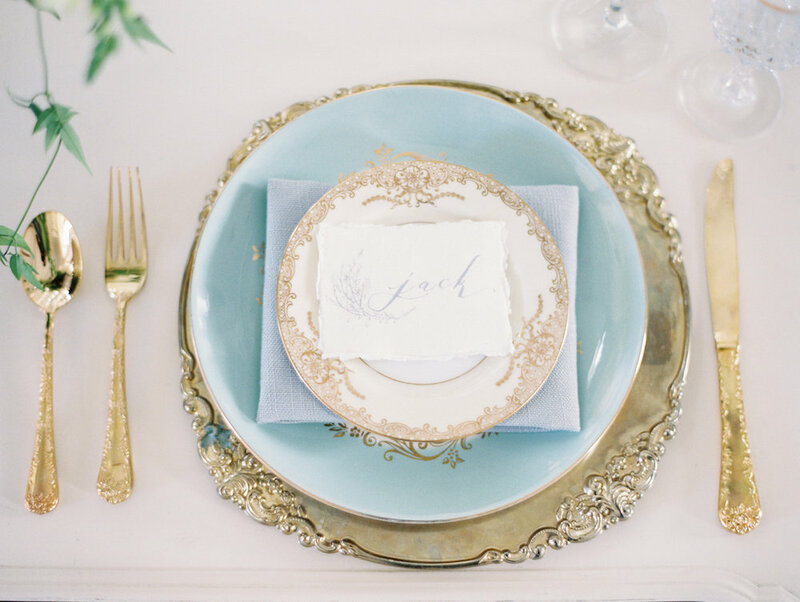 For a truly royal feel, find your own 24k-gold flatware here, here, and here. 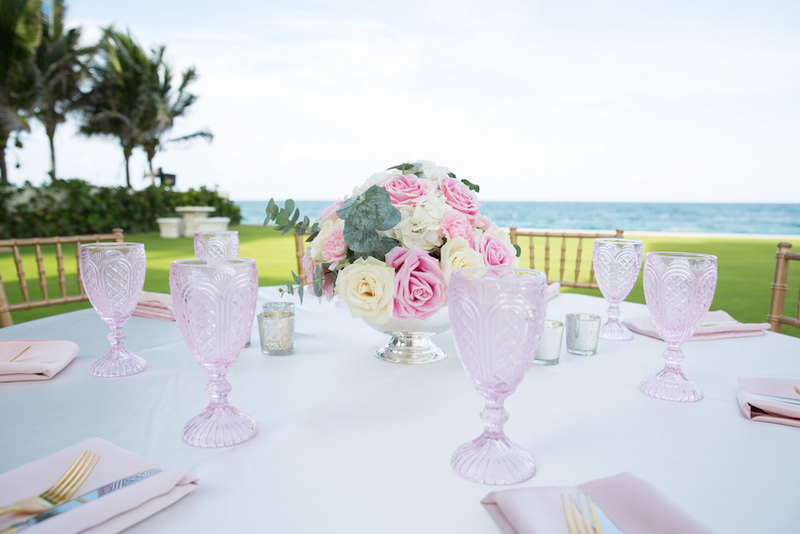 To find more inspiring reception décor and details, browse our photo galleries by the colors in your wedding palette.